With a fondness for good food, good friends and good times, Peter “Malandela” Thorne opened Malandela’s Restaurant on a corner of his thriving farm in 1984. 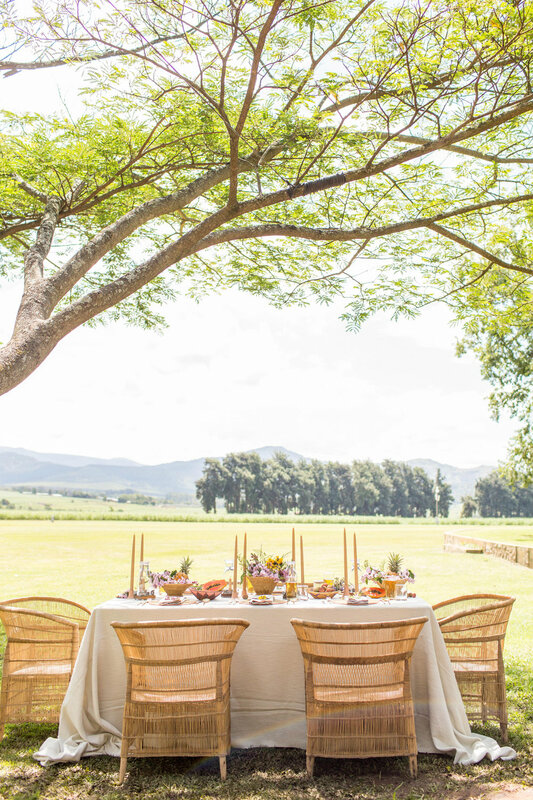 As one of the first eateries in the picturesque Malkerns Valley, the farmhouse restaurant offers a menu inspired by locally-sourced produce and only the freshest seafood from neighboring Mozambique. 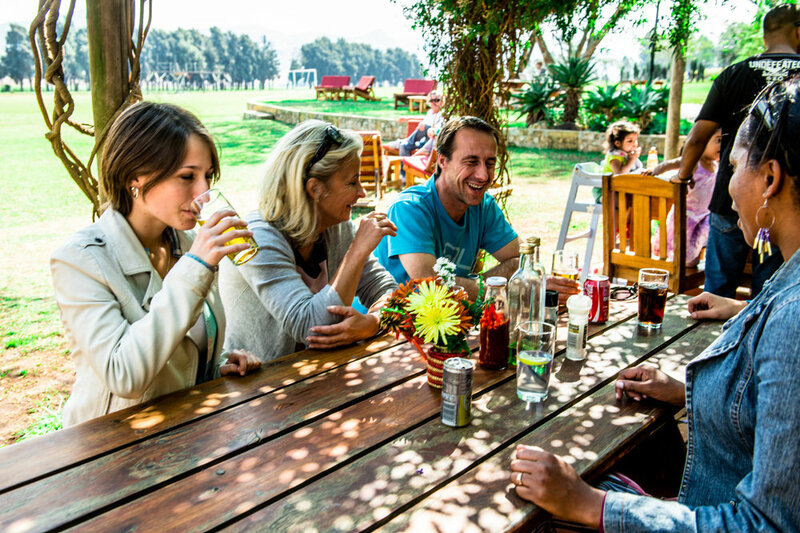 With it’s welcoming vibe, great views, reasonable pricing and a wide range of accessible dishes, Malandela’s Restaurant has become one of the country’s top choices for locals and tourists alike. Serving breakfast, lunch and dinner daily, guests can indulge in full English or a A La Catre breakfasts in the morning from 9am until 11am. 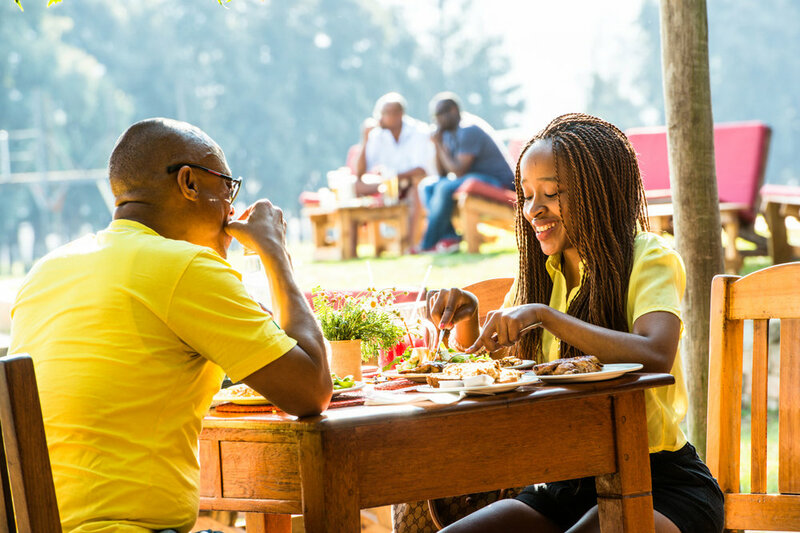 Signature dishes such as Sir George’s Oxtails, Swazi mixed grill and our famous range of burgers can be enjoyed in the afternoons up until 3pm. Dinner is served from 6pm to 10:30pm. The restaurant also features weekly specials: Thursday Mozambique Prawn Night, and Sunday Afternoon Roast with all the trimmings. 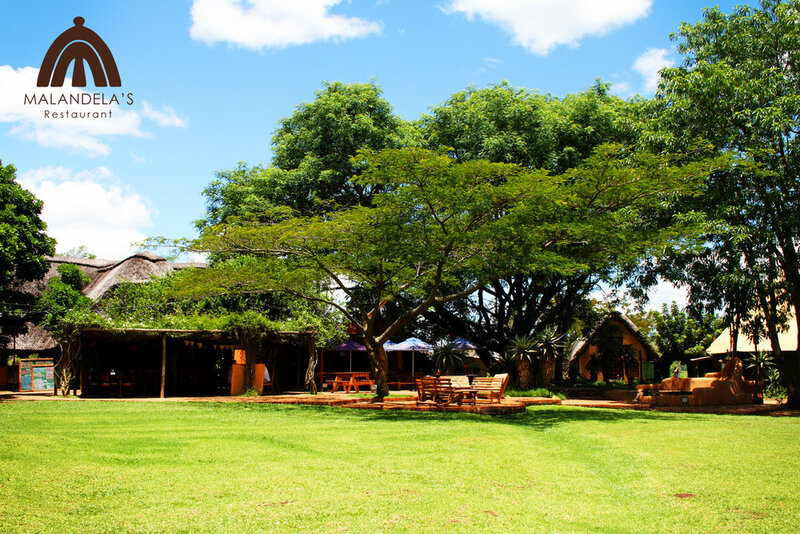 Malandela’s Restaurant is well equipped to host large groups of up t 50 seated guests and happily custom tailors the menu to meet your requirements, including cost-effective pre-set meals for tour bus groups. Large scale events, beautifully equipped weddings, and other private functions are accommodated on our lush lawns or within the fanciful environs of House On Fire. Adjacent to the restaurant is our country pub, serving up traditional pub meals such as fish & chips, steak, egg & chips, whilst also serving as a community hub. Local brews on tap and a wide range of drink options, our pub is a great place to enjoy the atmosphere of the centre and relax with good company. Such an amazingly welcoming & other worldly feel to this place. Inside seating, separate bar or outside tables in the open, under huge trees or under a canopy of bougainvilleas. The intricate tiling on the building with little turrets & turns reminds me of Antoni Gaudi's Guell Park in Barcelona. Fires are lit at night in the winter & pretty red string lights adorn the huge old trees. Food is good and atmosphere is nice. Were there twice and restaurant was fully booked. Popular tourist destination, save parking with indoor and outdoor seating. Highly recommended.